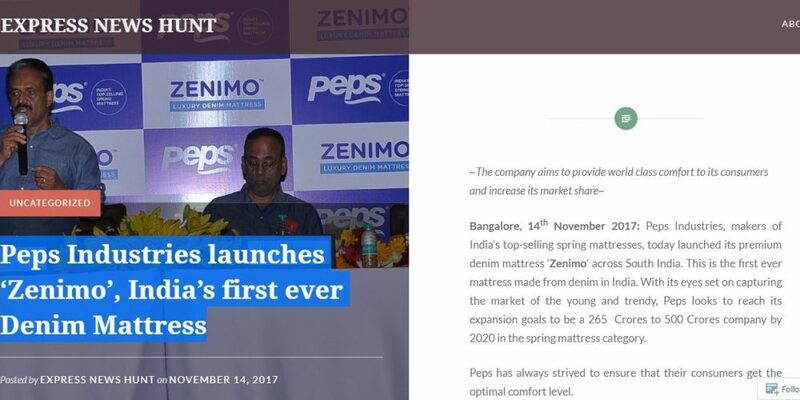 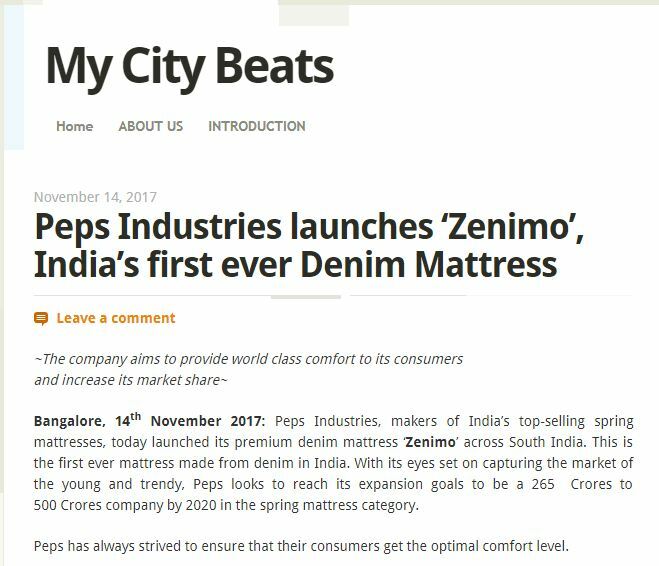 post-title PEPS INDUSTRIES LAUNCHES ZENIMO, INDIA’S FIRST EVER DENIM MATTRESS. 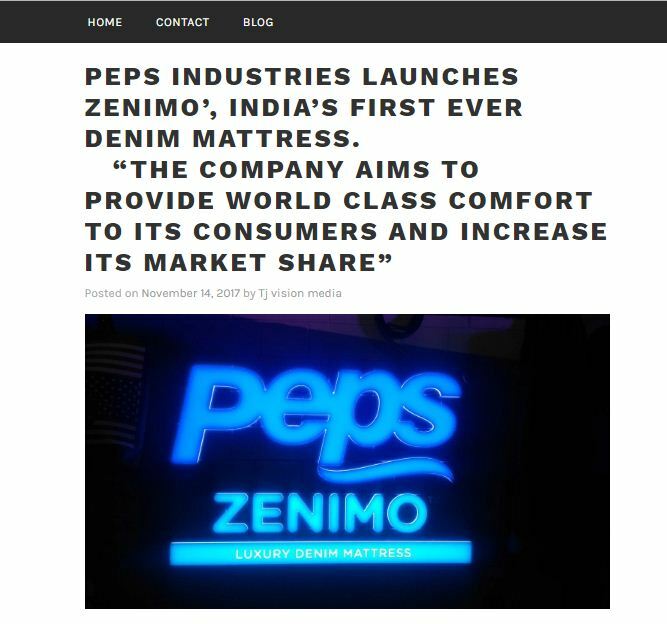 You are here: Home / PEPS INDUSTRIES LAUNCHES ZENIMO, INDIA’S FIRST EVER DENIM MATTRESS. 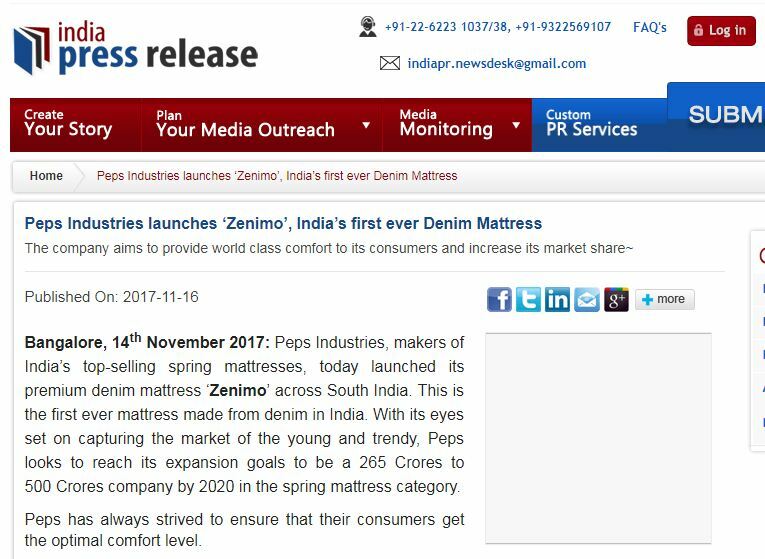 Peps has always strived to ensure that their consumers get the optimal comfort level.